4.1 How long does it take for bleach to kill spiders for fast results? 4.2 Can it kill brown recluse spiders? 4.3 Can it kill wolf spiders? 4.4 Does it kill spider mites and their eggs? As soon as the weather changes from cold to warm, it’s very common to find your home has become the habitat for spiders. Conversely, as soon as the weather begins to get a little bit colder, they will seek refuge and an issue arises. This isn’t a necessarily bad thing because these creatures are very important when it comes to eating bugs in the home. So unless these creatures taking up refuge in your home are of dangerous and poisonous species such as the Black Widow or Brown Recluse, it is advisable to just live & let live. As you try to get rid of spiders in your home, you could just be preparing a favorable condition for other creepy crawlies to invade your home. They generally hunt prey such as flies and other insects and can stop them from becoming a problem. However, if you are arthrophobic or you think the spiders under your roof pose danger to yourself and your family, then it’s extremely important that you get rid of them as soon as possible, either calling a bug exterminator and doing proper pet control yourself. Today, Spiders are found on every continent around the world that is permanently populated. Spiders are also among the most diverse living things in the world with nearly 40,000 different species however, nearly all spiders hate water. 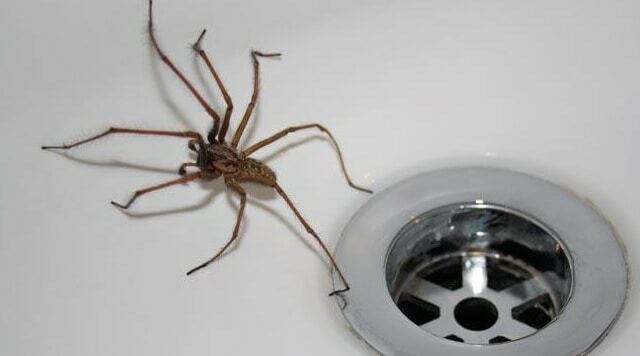 You may spot them hanging out in your bathroom, but you will never see them around a body of water, except for only a handful that actually lives on or in water. Although many think that spiders are insects, but in reality, they are arthropods and arachnids. All spider species have eight legs. Most of them have 4 sets of eyes; however different species may have different eye profiles. Female spiders tend to be bigger than their male spider mates, but these creatures are very prolific. A spider may lay up to three thousand eggs in a lifetime. You may be able to identify them by their egg sacs which look like little white balls. Although they may be scary since some of them are poisonous, spiders also provide the silk which is the strongest material ever known by man. This material that spiders produce can never be manufactured even synthetically because it’s too complicated. Each and every spider produces some form of silk and uses it make the classic web, which is used to catch its prey. One of the most interesting facts about spiders is that a leaping spider can jump up to 50 times its body length. You may want to duck! Having known these interesting facts about spiders, it’s now time to answer the question “does bleach kill spiders?” Is this an effective way to control spider infestations? Bleach that is normally used in laundry is a very good solution that can be used for exterminating spiders. The bleach’s ability to discolor colored fabric, whiten white clothe and neutralize anthrax makes it a multi-purpose solution. It’s also categorized as a fungicide and a pesticide because of its ability to kill bacteria cells. It’s also able to get rid of household pests such as spiders that are leaving in your home or outside your garden area. Whenever you are using bleach product or solution, an extra precaution should always be taken because it has quite harmful side effects to human beings as well as the surfaces that the product comes into contact with. Always make sure you protect your eyes and hands when using bleach solution. First, take the water along with your bleach solution( you can use brands such as Clorox or other non-branded – it doesn’t really matter). Then mix three parts of water with one part of bleach solution. As soon as you have thoroughly mixed them, pour the solution into a spray bottle. With your spraying bottle filled with the bleach solution, spray it directly on the spiders or onto the area affected with about six to ten inch distance. Spray as much as you wish so as to get rid of spiders. 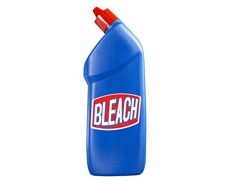 The amount of bleach solution you need depends on the size and number of spiders you want to rid. The bleach solution should be sprayed on the places that spiders are known to hide, nest or enter the home once a week until the winter season come to act as repellant. As soon as all the spiders are dead, you should sweep the whole area to remove all the dead spiders and dump them into the trash can. Any remaining bleach solution that can be seen on the surface should be wiped off thoroughly so as to prevent bleaching effects that may take place. Once again be very careful how close you are when using the bleach. This is because bleach is harmful and can damage your skin and eyes if it comes into contact with these organs for longer period of times or in larger quantities. Another way to repel them from a particular area is to let a teabag soak in the solution for a few minutes, and place one or more of them in the problem areas around the house. Always be careful on the areas you spray since bleach can discolor floors and walls. How long does it take for bleach to kill spiders for fast results? It shouldn’t take that long at all. It really depends on the size of the spiders and concentration of the mixture. For big spiders, it might take longer. It can take from a few minutes to a few hours for it to take effect. If it doesn’t work the first time, you may need to increase the concentration and try again. Can it kill brown recluse spiders? This species has a nasty bite, so you need to be careful getting near them to spray. Some people say that bleach gets rid of them, others say it doesn’t work so well. So you may need to go with a chemical treatment. Can it kill wolf spiders? These are large spiders, so it will take a bit longer, but yes it should work ok. Does it kill spider mites and their eggs? These creatures tend to attack plants, but if you have plants indoors they could become a problem, and they multiply very quickly indeed. Bleach can be quite effective if you spray on the plants.